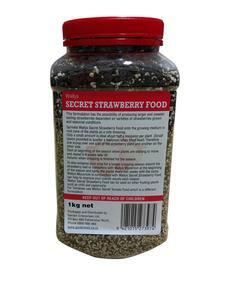 Wallys Secret Strawberry Food will help produce larger berries than normal; while not only feeding the plants it also assists in the control of nematodes and other pest insects. 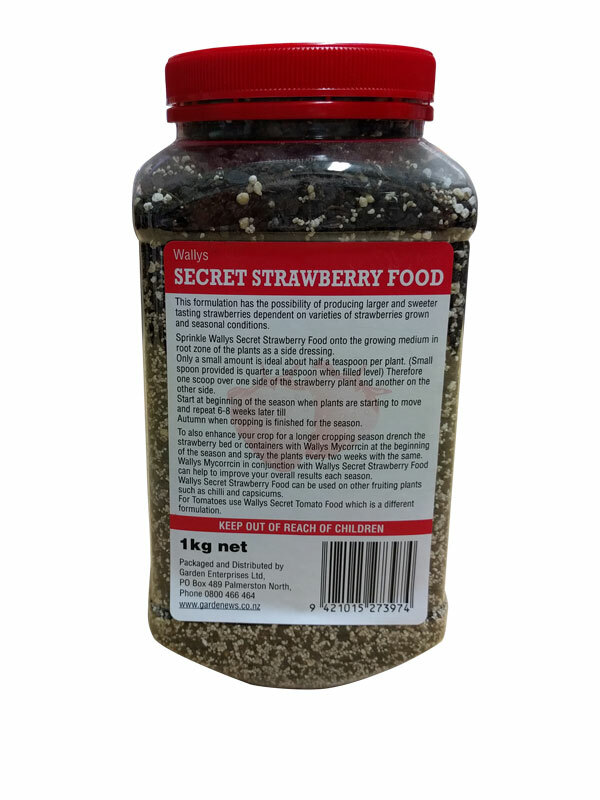 The high trace element and mineral content increases the nutritional value of the berries.This strawberry food has ample potash to ensure juicy berries with better flavour. Best used in conjunction with 2 weekly sprays of Wallys Mycorrcin. Read our Strawberry article here.